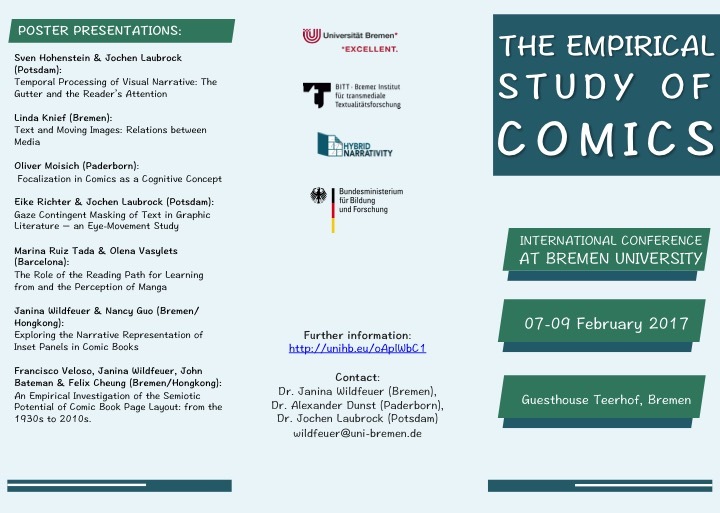 This conference aims to advance empirical research on comics, broadly understood as ranging from comic strips and series to mangas, graphic novels, and web comics. The study of this medium has witnessed an unprecedented surge of interest over the last two decades and now constitutes an established field of research in its own right. More recently, hermeneutic approaches to comics within literary and cultural studies have been complemented by a wider range of perspectives: from linguistics to computer science, and from psychology to art history. These projects share a willingness to go beyond thematic and qualitative studies of modern and contemporary culture and bring with them a multitude of empirical methodologies drawn from their respective disciplines. Currently, large corpora of comics and graphic novels are in the process of being collected, digitalized, and annotated in Canada and Germany; computer scientists, including in the US and France, are working on annotation schemes that will allow for comprehensive digital description and analysis; and ground-breaking work in experimental psychology is giving us an opportunity to understand how readers process this multimodal art form. Meanwhile, historical studies of circulation, consumption patterns, and interdependences between comics, animation, and illustration, are gaining track as research on comics diversifies and feeds back into formal description. However, sustained collaboration across research groups and countries remains scarce. It is the aim of this conference to facilitate further collaboration between scholars across disciplines and countries. Empirical comics research offers the chance to transform our understanding of the medium in the coming years. If shared and disseminated widely to scholars, digital corpora will provide a representative overview of the form for the first time. Rigorous classification schemes for page layouts are now being proposed that will benefit from critical input, as will mark-up languages and annotation software. Cognitive approaches challenge some of the most dearly-held convictions about comics, and a huge gap remains between narratologists and cognitive scientists with an interest in the study of culture. 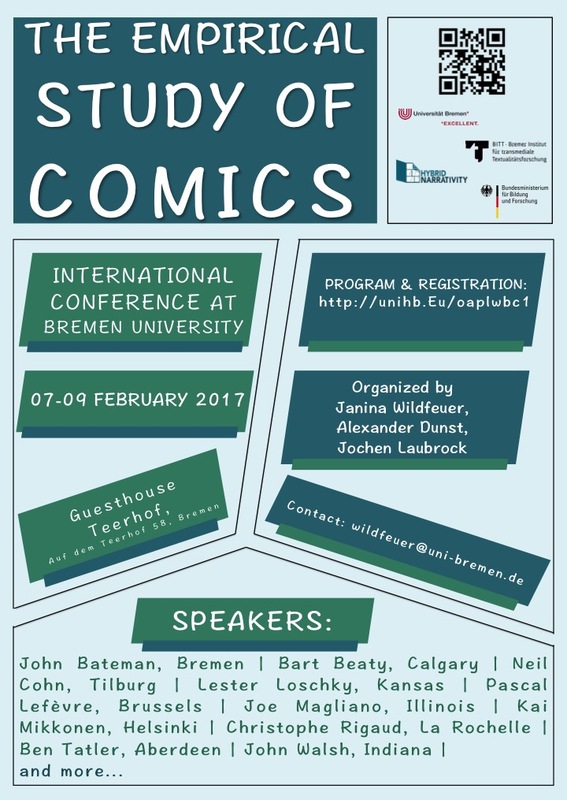 The empirical study of comics thus promises to generate remarkable synergies if the ideals of open scholarship are embraced.